Petroglyphs, Napoleon, tobacco pigtails, the EPA. What do these have to do with each other? On May 14, 1804, the Lewis and Clark expedition set out from St. Louis, Missouri, to explore the Northwest from the Mississippi River to the Pacific Ocean. France had just seceded Lousiana to the United States. The National Archives holds the French exchange copy of the agreement, providing for the payment of 60 million francs by the United States to France. 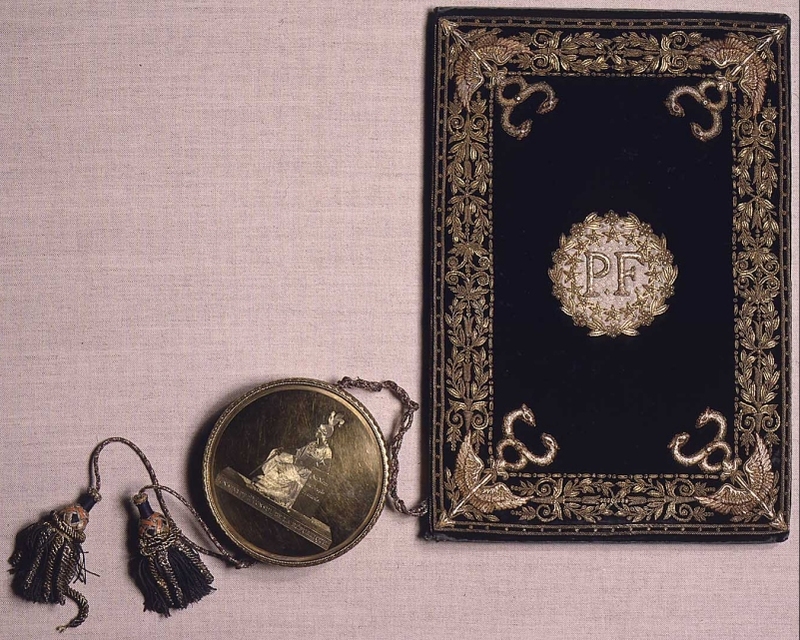 It was signed by the future Emperor Napoleon Bonaparte and his Foreign Minister, Charles Maurice de Talleyrand-Perigord. Lewis and Clark set out to explore this territory with plenty of supplies, including tobacco “pigtails.” They crossed the country, recording the landscape and its occupants in their journals. They drew detailed maps of this new part of the United States to bring back to Jefferson. They described drawings carved into rocks by Native Americans. One hundred and seventy years later, photographers were fanning across the United States, taking pictures for the DOCUMERICA project. Although they were not armed with tobacco or paddling in canoes, they were busy recording the landscape for the Federal Government. Patricia Duncan took this photograph of Ron McKinney, then aged 22, a Potawatomie-Kickapoo Indian, looking at a cliff in Kansas. In 1974, the life of this young man was very different from his ancestors in 1804. But the petrogylphs are the same. What documents in the National Archives will continue the story of this journey in a hundred years? How will the petroglpyhs in Kansas be recorded then? Its amazing to see how all the puzzle pieces of U.S. history fit together!